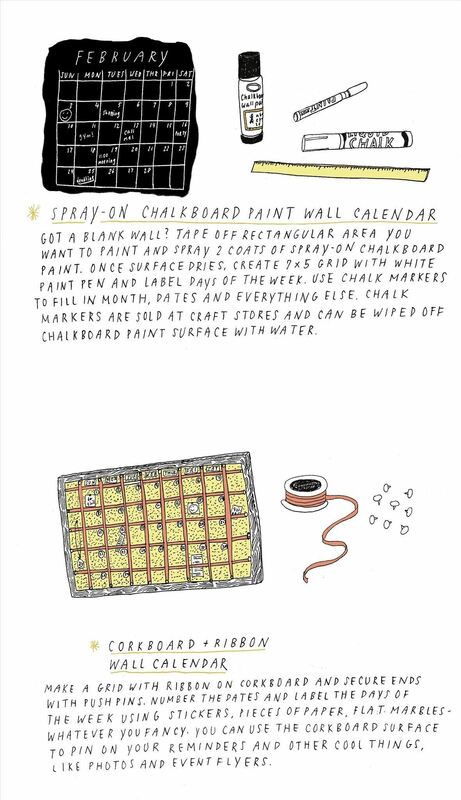 If the annual tradition of buying a new wall calendar at a heavily discounted price at some mall kiosk by the end of January is not exactly your scene, then how about making your own nifty DIY wall calendar for 2013? 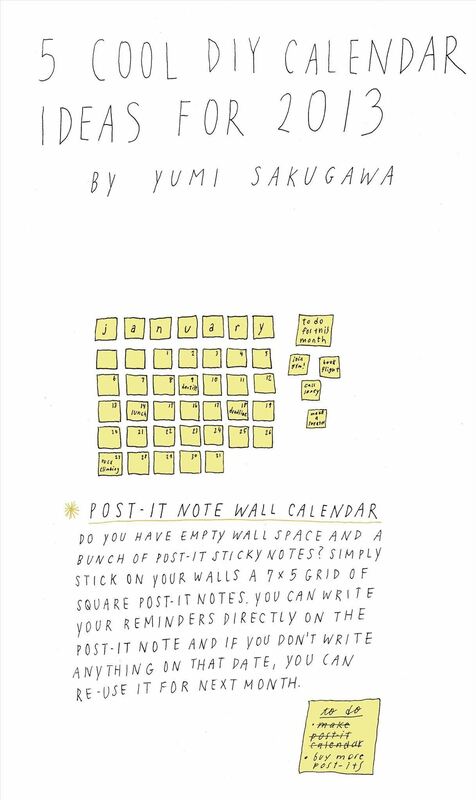 Depending on what you'd like your blank wall to look like and how much time you're willing to put into it, all you may need are a bunch of sticky notes and a pen. Or chalk wall spray paint and chalk markers. Or a cork board, push pins, and a spool of thick ribbon. If you don't have any wall space, consider making (or ordering) your very own refrigerator magnet calendar set that you can display on your refrigerator door in the kitchen. 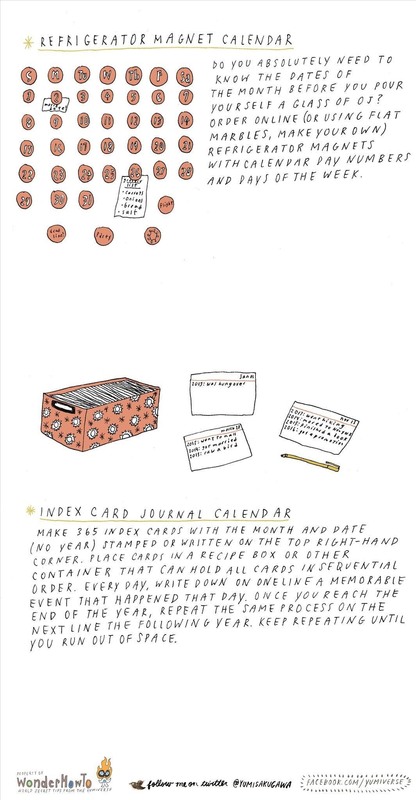 Or if you are more interested in recording the minutiae of your life than knowing the precise date of your day, you can make an index card journal calendar where you make a one-sentence note on a single line, every single day, and for the years to come, a memorable event or observation of that particular day. No matter what calendar format you decide upon for yourself, here's to an awesome 2013.